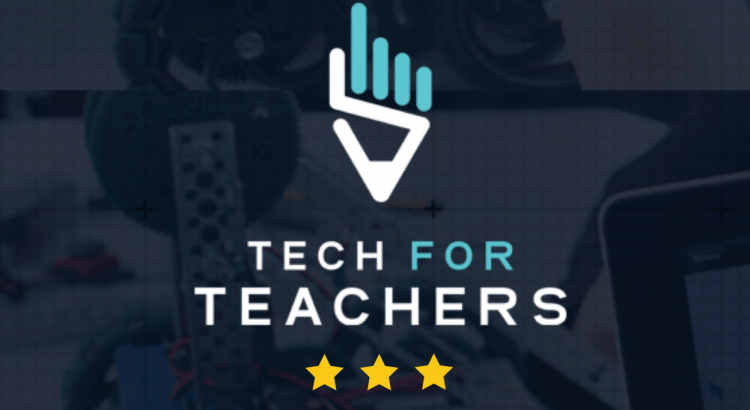 We are proud to announce that Ilini has won a 3-Star Award in the 2018 Tech for Teachers competition! Tech for Teachers is an awards scheme run by the publishers of the Technology & Innovation and Teach Secondary magazines (UK) “to recognise and celebrate technological developments that are having a genuine, positive impact in classrooms“. 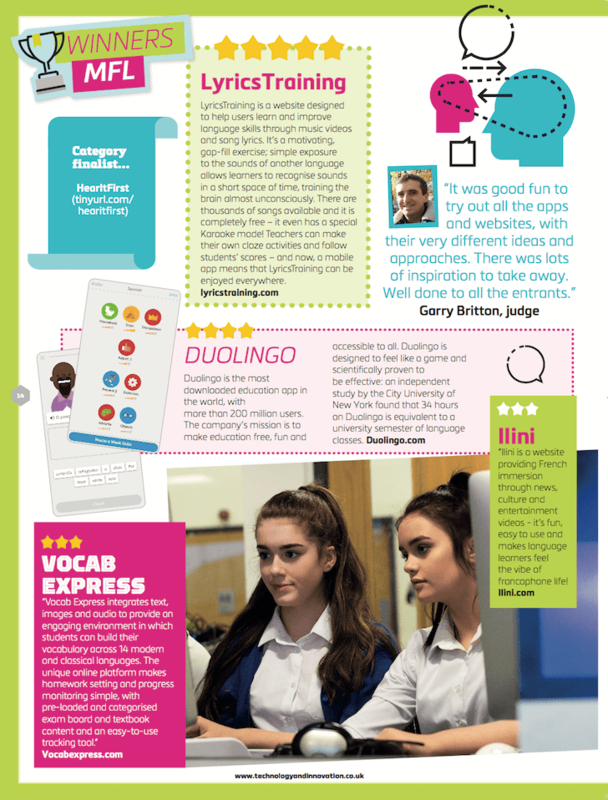 4 winners have been named in the MFL category: Lyrics Training, Duolingo, Vocab Express and Ilini. The awards will be handed out during the 2018 Bett Show in London (24-27 January), the UK’s largest EdTech show.